After purchasing our retirement home, we had to decide what to do with our current home. That decision was much more difficult than it would seem. The obvious solution would be to sell it, but that means dealing with an annoying real estate transaction and potentially paying realtors $40,000-50,000, which I can’t imagine doing. The other option, which a lot of people have been recommending, is to keep the house and rent it out. We finally decided to sell, and in this post I’ll explain why that is. Our current home in southern California is our first house, and we have a strong emotional attachment to it based on that fact alone. On top of that, we have put an incredible amount of sweat equity into this house, which built an even stronger attachment to it. You see, the house had been severely neglected by the previous owners, who owned it for 15 years. From all appearances, they did the bare minimum to keep the house standing, and nothing more. For example, the 150 foot fence along the south side of our property was literally held up by string, and I don’t think they changed the furnace filter during their 15 years of ownership. All this meant there were lots of issues, or opportunities to bond with the house, that needed to be addressed. Over the last four years we have completed literally hundreds of projects ourselves and addressed virtually every one of these issues, while at the same time tailoring the house to our specific tastes. "Bonding" with our new drawer slides. 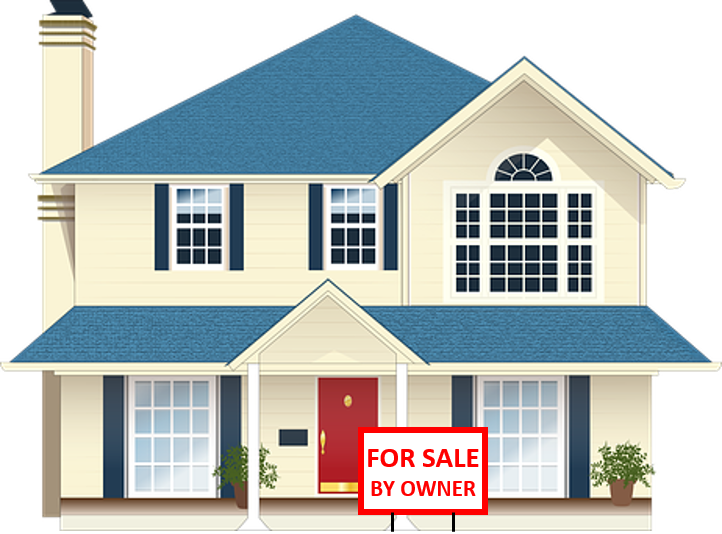 You may be wondering, “If you’re so attached to the home, why would you rather sell it than rent it out?” The answer is that I would strongly prefer to make a clean break with the house. I don’t think I could stand to watch someone else move in and (in my eyes) screw it up. If we sell the house, I don’t have to see what the new owners do to it, but if we rent it out, I will be forced to watch how the next inhabitants treat it. Based on the previous owners of the house, who probably represent the average person pretty well, I find it highly unlikely the next inhabitants are going to treat the home as nicely as I think they should, especially if they are just renting it. If we choose to rent out our house there will inevitably be hassles associated with it. Even in the extremely unlikely event we find the perfect tenants who don’t damage the house, get along with the neighbors, never move, and pay rent on time every time, there will still be normal maintenance that will have to be performed. Since I don’t really trust any repairmen to do a good job and not rip me off, I would have to fix everything myself, which would be a huge inconvenience when we live a couple hundred miles away. We could hire a property manager, but I really don’t want to pay for that. It might even cause the property to have a negative cash flow, at least for a couple years, which definitely isn’t something we want. The smart way to make this decision is to look at the financial impact of both options, and after running a bunch of numbers the results are pretty interesting. Selling gives us a lump sum that would compound over time, whereas renting would basically break even in the short term, but eventually generate a decent cash flow. Over the long term (and based on a bunch of assumptions like the rate of return on investments, the increase in property values and rents, and projected maintenance costs) both options come out surprisingly even, so it makes sense to go with the option that requires the least effort, which is selling. I will note that despite the conclusion we have come to for our SoCal house, I am not opposed to the idea of becoming a landlord. In fact, if we do end up selling, I’m considering using some of the proceeds to purchase a rental property, however it would have to be near to our new home so I could keep a closer eye on it and more easily handle any issues that arise. Amazon.com is probably our favorite (big) company. They have pretty much anything you could ever want, usually with the best price around. Best of all, they have exceptional customer service. If you're already an Amazon customer, please shop through the link on this site so we can get a few cents. If you don't use Amazon, get on the bandwagon--you'll thank me later. That makes a lot of sense. I like the idea of having rentals now, but I could definitely see myself wanting to unload them when I'm older. I think the choice to sell was the right one. You probably received a sizable equity appreciation in this market and now you have more to work with for your retirement plans. Rental income is nice but as you mentioned, to have it be stress free, the tennant and low property management costs would need to all come together. Easier said than done. BTW, Im really enjoying your blogs. I became very interested in finances toward the latter part of college. Refreshing to see an old friend setting awesome goals for your families future.